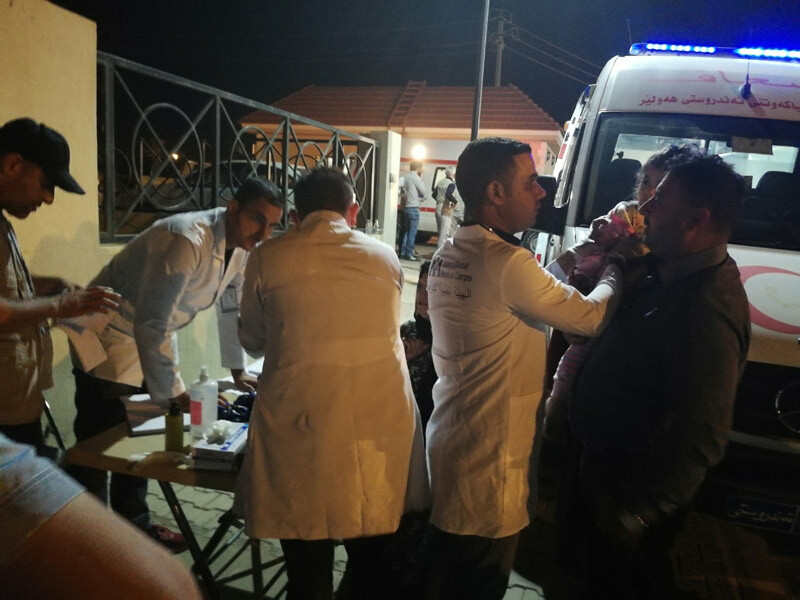 As long-standing political tensions continue to escalate in the Kurdistan Region of Iraq, International Medical Corps has dispatched mobile medical teams from its office in Erbil to help the tens of thousands of children, women, and men fleeing their homes in Kirkuk and other disputed areas. These mobile medical teams—comprised of doctors, nurses, and pharmacists along with necessary medication and medical supplies—were immediately deployed to provide care for these newly displaced families as they arrive in Erbil and Sulaimaniyah governorates. According to media reports citing Kurdish officials, some 100,000 Kurds have fled their homes since October 16, when the Iraqi government took over Kirkuk as part of its operation to restore Iraqi sovereignty over disputed land claimed by Kurds, ethnic Turkmen, and Arabs. The operation was in response to the Kurdistan Regional Government’s referendum for independence on September 25, which heightened political tensions throughout the region. There have been troubling reports of violence, intimidation, and forced displacement of civilians from disputed areas, and we call on all parties to cease any violence and ensure civilians are protected. As part of ongoing relief efforts to help the more than 11 million people in need of humanitarian aid in Iraq, International Medical Corps maintains an emergency standby capacity in country to quickly respond to crises. This emergency standby capacity enabled rapid deployment of our mobile medical teams to help families displaced from Kirkuk and other disputed areas.